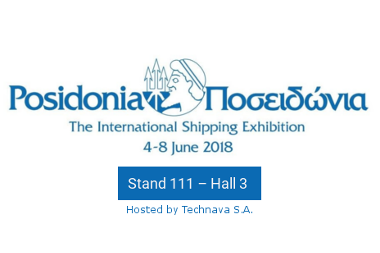 Propulsion Analytics is proud to announce its participation at Posidonia 2018 – Stand 111, Hall 3 (Hosted by Technava SA). Our participation under the theme “Performance Management Re-Designed” coincides with the recent announcement of our strategic partnership with Techava SA, which aims at providing state-of-the-art performance management solutions to the shipping industry in Greece and Cyprus. In addition, we are also launching the new version of our Performance Management suite, Engine Hyper Cube® v 3.0, which is a valuable status assessment and decision support software to be used by the management and the technical/engineering teams ashore. The new version offers dashboard view of overall vessel/engine condition, component health and efficiency KPI’s, detailed diagnostics of possible faults (engine & sensors) together with recommended actions, financial impact of faults identified as well as timeline analysis and sister vessel/engine comparison.